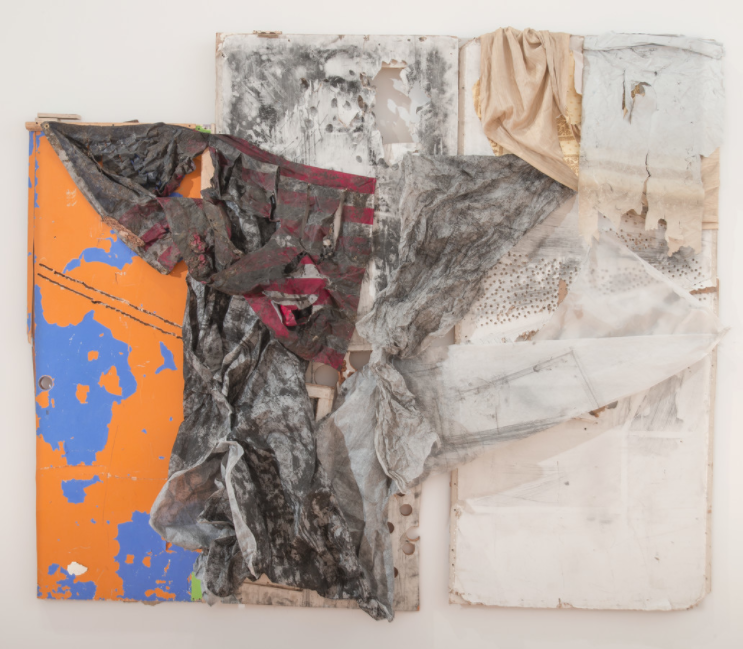 DeVille combines sheetrock, wax, encaustic paint, charcoal dust, staples, a door, a window shade, and an American flag into a statement about the materials’ shared importance in the history and memory of Harlem. The American flag, in the work’s title and composition, contains a dual meaning that confronts the viewer. For some viewers the flag is a symbol of pride and freedom; for others it recalls a history of oppression and ownership of people. In her work, DeVille creates shifting perspectives of the physical world, introducing a new genre of storytelling that engages the imagination. —Katie Benz is the 2017 fall digital engagement intern at the National Museum of Women in the Arts.